or the tale of vulnerability and self-leadership. In a previous article, I gave an example of occasion to be vulnerable. Let’s be honest, not so many of us have been educated in being vulnerable – myself included! Moreover, with the post economic crackdown situation, we tend more to “be tough because the times are tough”. Also, somehow, social network platforms tend also to put pressure on us: being in the show-off, to appear as successful people, being appealing. All this does not invite us to vulnerability. So, the vulnerability I’m talking about is the moment you allow yourself to look through these little cracks in the beautiful and strong walls you raised. It’s really about allowing yourself… to be vulnerable with yourself. Basically, because… nobody can force you, unless you belong to a sectarian movement or be under psychological influence. These walls we raised are there to protect us and tell stories to others. We might even end to believe they are true! You know what happened to walls build on weak foundations? At the first strong shake the cracks propagate and finally the walls collapse! This happen more often than expected. Don’t misunderstand me, allowing vulnerability is not allowing “oh poor me” self-talks and other kinds of complaints. It’s not about complaining. It’s more about leaving the stories aside and look at the truth. I agree it’s not easy. If you are able to do that, you can start to be accountable for what happened or not in the past – whatever we are talking about professional, corporate or private life issues- in the measure of your sphere of influence of course. Being able in the present – now- to be accountable for the past is the surest way to be “response-able” for the future. Since, you practice this honest self-view, there are things you can’t ignore anymore and you’ll probably feel a need to act differently or engage yourself in a certain set of actions. However, be aware that it’s very possible in your genuine attempt to face the truth you’ll see some mind habits inviting themselves. They might provide distortions of perception of what really happened. But still, it’s worthy to practice. In the corporate universe, people often wonder how they can “make grow” their people, their executives, their leaders, their managers, their employees, their teams. 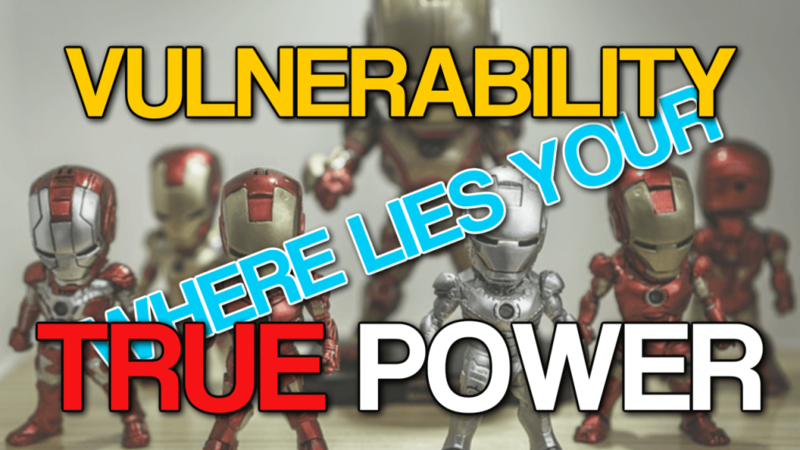 The vulnerability practice (about a particular issue) is a powerful way. Because it’s not about “adding more” – more leadership skills for example! It’s more about subtracting (stories) and replacing -ineffective beliefs, behaviors, actions by effective ones. About the author: Xavier BARILLER facilitates, accompanies, coaches people within organizations, and private clients to safely leave aside what's not necessary, to make them able to give appropriate response.